Who doesn’t love pizza? It is one of the very popular and the most liked dish all over the world. For those of you who do not know what a pizza is, let us give you an insight. 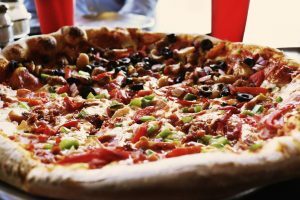 A pizza is made up of three layers, the lowermost being a yeasted flatbread, the tomato sauce and cheese on it acts as the second layer and different meats and vegetables as the third layer. This is then baked in the oven until crisp and served. The pizza can be customized according to your liking. This dish was invented in Naples and ever since, it has made its name as the best go to food choice for the people all around the world. The authentic Italian pizza uses San Marzano tomatoes for the sauce and Mozzarella cheese that is specially made from the milk of the water buffalo, a native of Italy. 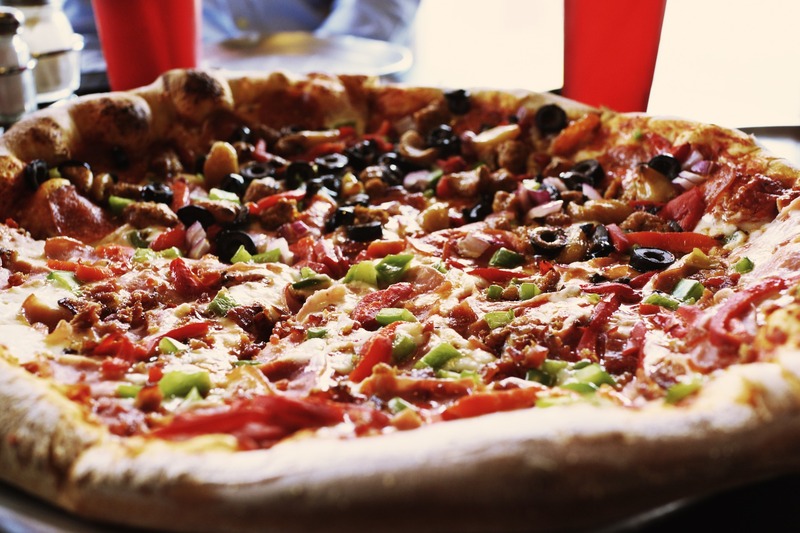 Some examples of the traditional pizzas are Pizza Al Marinara, Pizza Capriccioso, and Pizza Pugliese. It is the one dish you should definitely try while visiting Italy. Lasagna is another very popular dish that finds its origin in Italy. It essentially consists of square-shaped pasta layers stacked on top of each other. This is one of the oldest pasta recipes in the world. 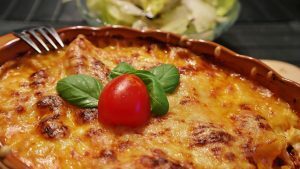 There are many variants to the Lasagna but the authentic Italian one is made by placing one pasta layer on top of another with various meat and vegetable fillings dipped in the tomato sauce stacked between each layer. Special cheese is also added to each layer to give it an even richer taste. This is then baked in the stone oven and served hot with sauce. If you love pasta, Lasagna is one dish you should definitely give a try. Gelato is a type of ice cream that also originated in Italy. Its base is made with sugar, cream and milk. 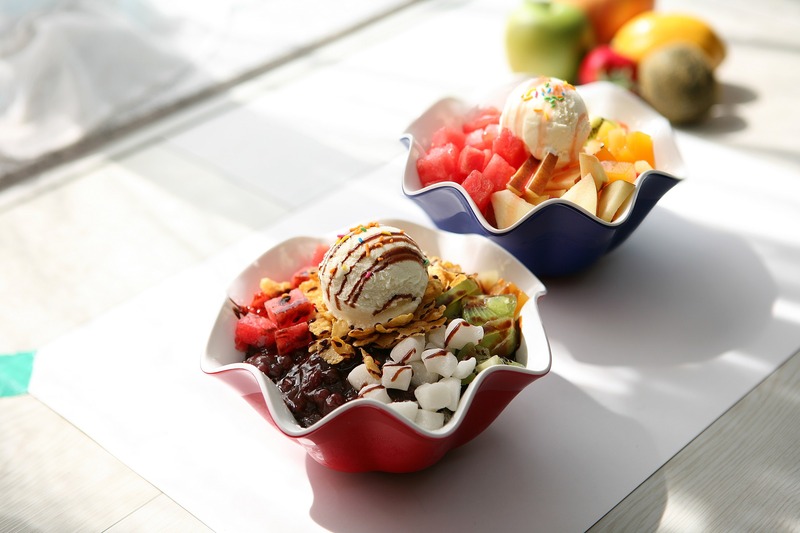 Various types of fruits and nuts are later added to give it the color and the flavor. Gelato is much lighter than the normal ice cream and is low in fat but high in sugar content. It is either served with a flour cone or just alone in the cup. Even though it is available all across the world, Italy is the place where you will find the most authentic taste and numerous flavor choices. Spaghetti is the staple food of the Italians. It is a thin cylindrical pasta which is made with milled wheat. The authentic Italian Spaghetti is made from the durum wheat semolina. Initially, the spaghetti was made to be long and cylindrical but now a shorter variant is used. The authentic Italian spaghetti is cooked al dente. So the spaghetti is boiled in the water until it is fully cooked but is still firm. It is then added to a mixture of various sauces and vegetables or meat. It is the base for a number of pasta dishes including the Lasagna. 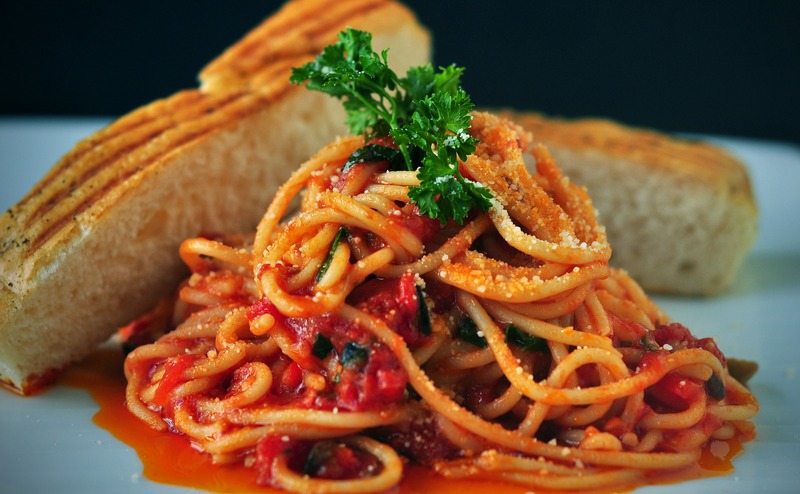 So, if you want to experience the authentic Italian staple food, give spaghetti a try. Apart from these, there are many other Italian foods that you can try like Risotto, Bruschetta, Panzanella and much more.